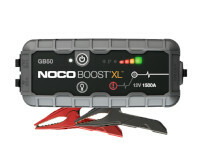 NOCO GB0150 GENIUS BOOST HD JUMP STARTER - Brand new portable,ultra-powerful lithium-ion jump starter for 12-volt lead-acid batteries. 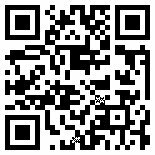 It is a high-quality product, ultra safe and easy to use. 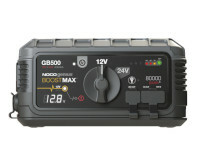 NOCO GB150 protects against reverse polarity, sparks, over-charging, over-current, open-circuits and over-heating. 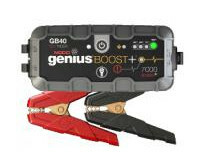 It's a powerful battery booster that doubles as a portable power source for recharging USB devices, like a smartphone, tablet and more, or powering 12-volt devices, like a tire inflator, power inverter and much more. 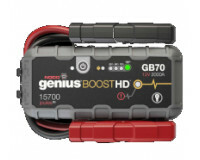 Designed for a car, boat, RV, truck and more with both gas and diesel engines up to 10 liters and more.